Obituary for Alyssa Cheyenne Russell | Adduci-Zimny Funeral Home, Ltd.
Alyssa Cheyenne Russell, 22, suddenly, November 15, 2018. Beloved daughter of Lisa Cole, nee McNair (Javier "Stevo" Alvarado) and the late Charles Russell; loving sister of Dawn Muhr, nee McNair, Amanda Cole-Arvia (Paul Arvia), Jeffrey Cole (Jennifer Wisniewski) and Jennifer, Haley, Patrick and Brandon Russell; cherished aunt of Carter Bryant, Carlie Muhr, Jessica Muhr, Jeffrey Cole III, Trinity Voss, Shawn Cole, Alexis Cole, Kayla Kelly, Jacob Julian and Chase Voss; dearest niece of Susan (Joaquin) Garcia, James McNair and Joseph Russell; dear cousin and friend of many. 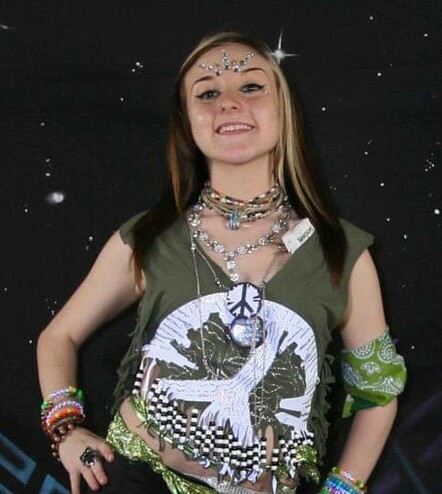 Alyssa was a free spirited, fun loving person who was a gifted artist of many forms. Her creativity and positive energy will be deeply missed by all. Visitation Sunday, Nov 25th, 4:00 – 9:00 p.m. and Monday, Nov. 26th, from 9 a.m. until time of Celebration of Life at 11:00 a.m. at Adduci-Zimny Funeral Home, 14522 S. Western Ave., Posen. Interment private.